5) Does Your Org Believe in Kidnapping and Ransom Insurance? Ours does not. In fact, we don’t allow our workers (nor their families) to carry it. But some orgs do. If you’d like to write anonymously, jot your reasons for doing so, if you don’t mind, in a comment after the web version of this item. Unfortunately, if one of our workers is kidnapped someday, I’m afraid the kidnapper is going to be very disappointed. But then… that’s part of our strategy. : ) Our workers (and their families) agree never to pay ransom as a condition for being part of our org. How about yours? 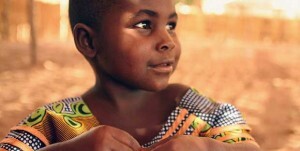 10) Where to get missionary insurance going overseas? If you have questions, you can also call them and reach a real person during regular hours at 866.636.9100 or skype them at “good neighbor insurance”. 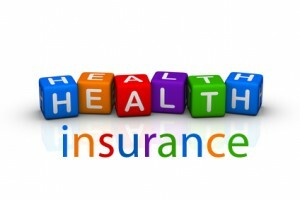 8) Which Insurance Plans are Best for Cross-cultural Workers? Check out “Reside,” “Liaison Majestic International,” “Global Navigator,” and others. But you might know of other vendors. The inquirer wondered what impact Obamacare has had on options. Either way, please click “Comment” — and share your best referral. Thanks in advance for any help you can give! 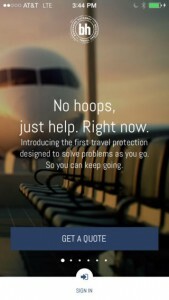 3) Traveling or Living Overseas and Need Insurance? 4) Afraid of Missing a Connection on your Next Flight? Sure it costs $25, but hey — if you absolutely, positively have to get there and your connection is tight, maybe it’s worth the price of admission? Helps include an honest look at what they like about each insurance carrier, specific ways to help make missionary healthcare more affordable, as well as helping home staff and HR personnel be more efficient. The site now has specific tips for those organizations without a group policy (missionaries carry their own insurance), missions groups who have group insurance elsewhere, and groups that are currently clients. 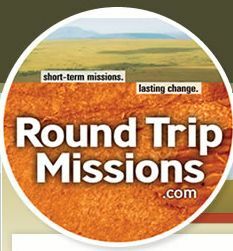 This resource is especially helpful to smaller and/or newer mission groups. This video curriculum is for individuals who are considering a short-term mission trip, churches who are sending short-term teams, the teams themselves as they prepare to go, and anyone who wants to do short-term missions with excellence, integrity, and real partnership with the church around the world. They even give you permission to make up to 1,000 copies of the participant’s and leader’s guides to be distributed in a church or educational setting. All this for $20. How in the world? I love it when somebody produces something then doesn’t charge $200 for it. Hopefully, they do well because of economy of scale. God bless them. If you get the chance, be sure to tell them you heard about it on Brigada.